Employee Directory milestone widgets helps you better engage your employees by celebrating their contributions and creating a sense of community. Employee engagement is one of the critical factors affecting productivity in a workplace. 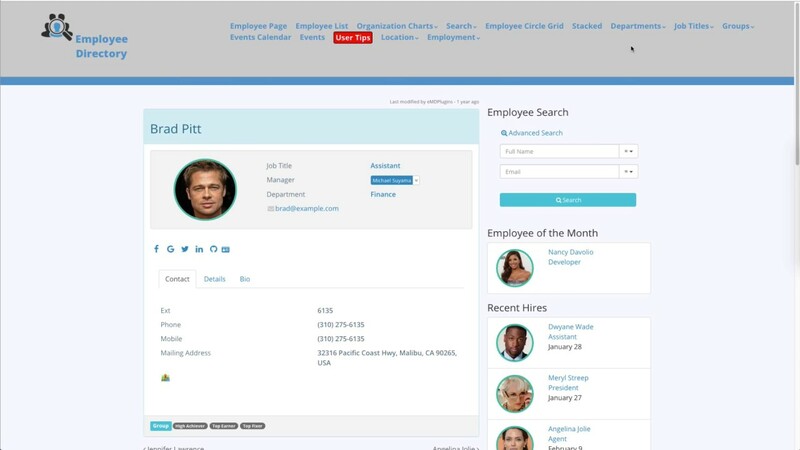 Employee Directory milestone widgets offer simple and effective ways to increase employee engagement. Featured Employees a.k.a employee of the month, top seller, get to know our team and more. The number of years of employee service is displayed in contextually colored ribbons. You can set the number of employees to be displayed in any widget. You can display milestone widgets site-wide or optionally only on directory pages.